Boston Scientific’s Lotus Valve System is indicated for use in transcatheter aortic valve replacement (TAVR). While it is already approved for sale in Europe, the Lotus Valve System is currently undergoing clinical testing in the U.S. However, problems with these devices have already prompted Boston Scientific to issue a series of recalls. The Boston Scientific Lotus Valve System is used in TAVR, a minimally-invasive procedure used to replace the aortic valve. 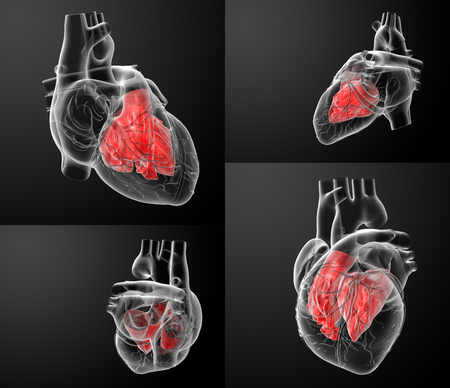 TARV, which is sometimes called transcatheter aortic valve implantation (TAVI), is considered an option for high-risk and intermediate-risk patient populations with aortic stenosis. Unlike surgical valve replacement, TARVE does not require open heart surgery. During a Lotus Valve System procedure, a specialized stent is inserted into a small incision in the leg, then through the femoral artery into the heart. Once in position, the new valve is deployed, pushing the original valve’s leaflets out of the way. The procedure eliminates the need to open the chest or stop the heart. Aortic stenosis affects 3-5% of patients over the age of 65. The life-threatening condition causes the walls of the aortic valve to thicken and become stiff, reducing blood flow to the heart. The market for minimally-invasive heart valves is expected to exceed $5 billion by 2021. Boston Scientific has indicated that it would seek U.S. Food & Drug Administration (FDA) approval for the Lotus Valve System by the end of 2017. The system could be available in the U.S. by mid-2018. The first Lotus Valve recall was announced in November 2014 following reports that the valve had become unlocked during release from the delivery system. A total of 278 units distributed in Finland, France, Germany, Great Britain, Italy, Norway, Spain, Sweden, and Switzerland were subject to recall. A second recall was announced in August 2016 due to breakage issues with the release mandrel, a component of the Lotus Valve delivery system. The issue resulted in three deaths due to catastrophic vessel trauma. In October 2016, Boston Scientific suspended implants of its next-generation Lotus Edge device in Europe to investigate a locking mechanism issue. The company announced a fix for the issue in January 2017. In February 2017, Boston Scientific announced a global recall for unused Lotus Valve Systems due to concerns that a pin in the deployment tool might become disconnected before the doctor is ready to release the device. One patient died following an attempt to implant a second valve.